Every year I tell myself, I’m going to stick to a budget for the holidays, that we will go to all of the holiday events in our town, and that I will plan my holiday dinner & have it all prepared days ahead of time. But then the holidays sneak up on me, and before I know it, nothing is done and Christmas is in 3 days. Does this sound like you too? I’m tired of the holiday chaos so I came up with a holiday planner that will keep me on track and in charge of my holidays, instead of the holidays taking charge of me! The Holiday Planner comes with 12 printable pdf sheets (including the cover). 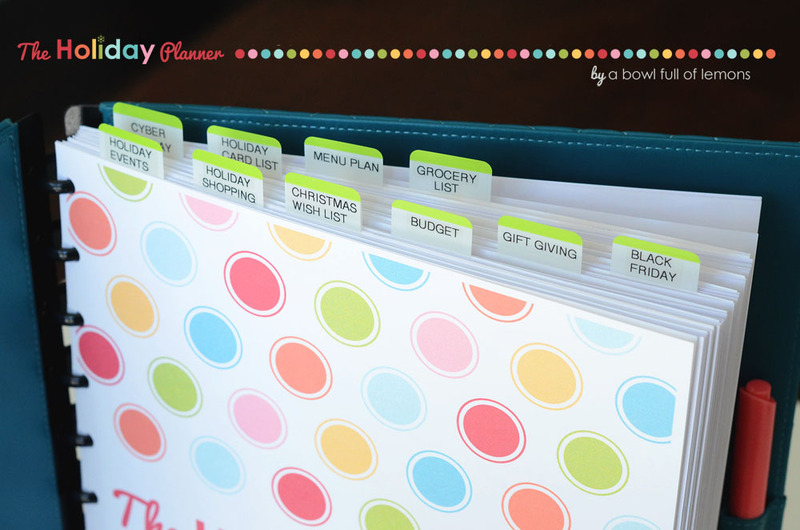 Everything you need to get your holidays organized is in this 8.5 x 11 planner.